Health Industry Claims and Payments Service (HICAPS) is an electronic, instant claims and payments service. 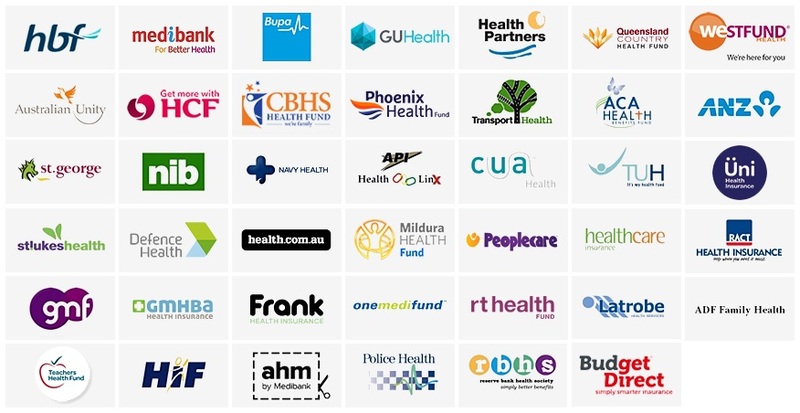 HICAPS covers most private health funds in Australia (refer to image of covered health funds above), with immediate health fund rebate at the time of treatment if you carry eligible insurance cover. The Department of Veterans’ Affairs (DVA) provides support to current and former serving members and their families and carers through a range of services and payments (including ongoing or one off payments). These services are designed to assist you to manage your health or lifestyle needs, and support those you care for. ﻿Chronic Disease Management (CDM), formally known as Enhanced Primary Care (EPC), is a GP service on the Medicare Benefits Schedule (MBS) that enables GPs to plan and coordinate the health care of patients with chronic or terminal medical conditions. This includes patients with conditions requiring multidisciplinary, team-based care from their GP. The Transport Accident Commission (TAC) can pay for reasonable medical treatment and certain other services you may need as a result of your injuries from a transport accident. Workcover supports a network of healthcare providers who help injured workers improve their health and return to work.